We have a lot of stories at Goodwill. Here are two recent examples – very different from each other, but each a great illustration of some of what gives our work at Goodwill so much meaning. 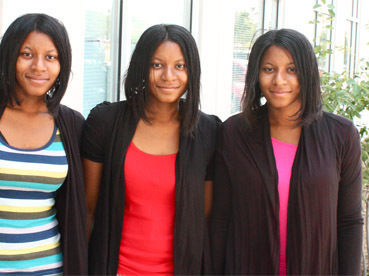 Amber, Ashley, and Angel Sanders are identical triplets. They were raised by their grandmother because their mom had severe addiction problems, and their father wasn’t around. On two separate occasions, they were placed in foster care. During those early years, they struggled, but they didn’t give up. They enrolled in and thrived at Indianapolis Metropolitan High School, the first charter school Goodwill opened. Graduating with honors in 2009, they received scholarships that covered all of their expenses at Indiana University, where they maintained GPAs above 3.0 and in 2013 graduated with bachelor’s degrees. At IU, Amber and Ashley majored in East Asian Languages and Cultures. Ashley’s language focus was Korean, Amber’s was Japanese. Angel, who did part of her undergraduate work in Korea, had a double major in International Studies and Slavic Languages and Literature with a focus on Russian. The Sanders sisters have been accepted by Yonsei University’s Graduate School of International Studies in Seoul. Their goal is to earn masters degrees, immerse themselves in an Asian culture, and become fluent in one or more Asian languages. They then hope to work in the United States or abroad for government or a multinational corporation, become connectors, and help bridge borders around the world. I have no doubt Amber, Angel, and Ashley will achieve their goals. In 2012, Verdell came to Goodwill through a work release program after serving 17 years in prison. Initially employed as a janitor in one of our outlet stores, she let it be known that while in prison she had learned to clean floors and loved cleaning floors. She was then moved to Goodwill’s contract site at the VA Hospital, where she had the opportunity to clean floors every day. She did so well she was promoted to a team leader position. In November 2013, while attending a Goodwill safety meeting at the VA Hospital, Goodwill COO Kent Kramer, who was aware Verdell had been homeless, asked about her housing situation. She told Kent she had an apartment, and then Kent asked her if she had ever thought about owning a home. Verdell thought she could never afford that, whereupon Kent connected her with Habitat for Humanity. These two stories illustrate a variety of ways Goodwill provides opportunities for people. Some of those we work with (e.g. the Sanders sisters) need assistance because of circumstances over which they have had no control. Others (e.g. Verdell) need help because of bad choices they have made. Regardless, when we provide the opportunities, it’s still up to the individuals to make the most of those opportunities. Most – including Amber, Angel, Ashley, and Verdell – do. In recent weeks, I’ve become acquainted with three Excel Center students who have received or will soon receive their high school diplomas. All three of these young adults have disabilities, were in “special education” during their childhoods, and failed to graduate from the large public high schools they attended. One of the three had tried in three different large high schools, but the results were always the same. Yet, at the three different Excel Centers these students attended, all of them succeeded. They earned the credits they needed for a Core 40 diploma and passed the End-of-Course Assessments required by the State of Indiana. In addition, two of them have already earned post-secondary credentials that increase their employability and earning potential. As I’ve asked several members of our staff that question, two themes emerge. First, there are a lot of people who simply don’t expect much from a student labeled “special education.” Many times, such students aren’t challenged, and it’s often difficult for a large high school to provide the kind of individual attention that can sometimes help a student rise above generally low expectations and begin to realize his or her potential. The second theme is that the small size and structure of The Excel Center; the team approach taken by the teachers, life coaches, and other staff; and the individual help that is readily available in each Excel Center are just what many “special ed” students need to make the most of their potential. In addition, we believe our students can succeed, and we expect them to do so. 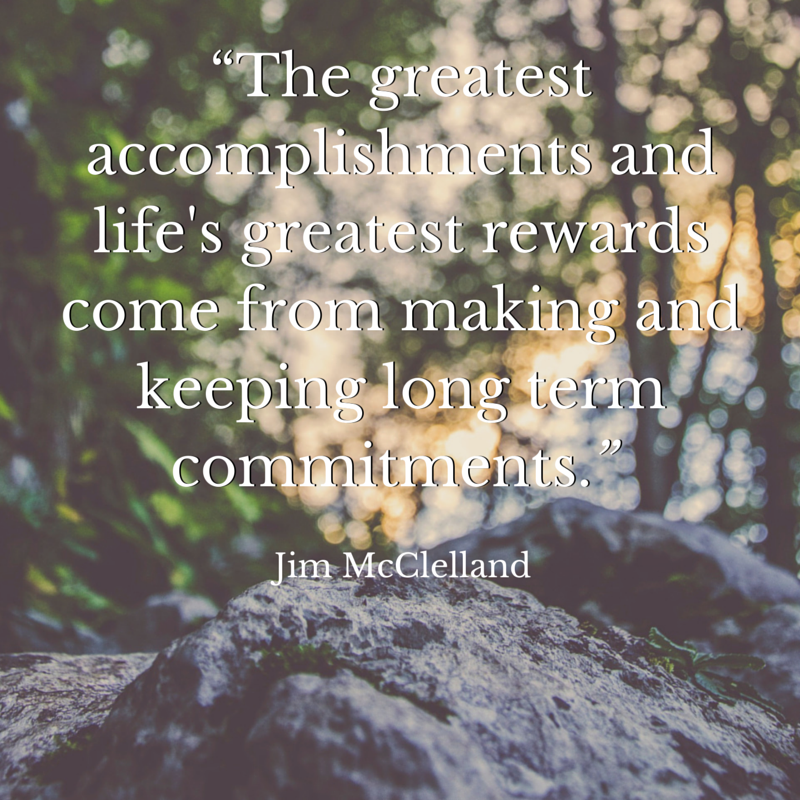 Over the years, we’ve seen many examples of young people and adults who rose above the low expectations of others to accomplish what many might not have thought possible. One of the early graduates of the Indianapolis Metropolitan High School Goodwill started ten years ago is a good example. A “special education” student, his parents didn’t think he’d ever earn a high school diploma. He proved them wrong, went on to graduate from college with a bachelor’s degree, and is now employed by that college. More recently, I saw a letter written by a 2014 graduate of Indy Met. In it, she describes how she had been ready to drop out of the large high school she previously attended. Her parents even expected her to do so. But, at Indy Met the teachers had more faith in her than she had in herself. As she stated, “Without Indy Met’s amazingly supportive staff, I would have given up a long time ago.” As it is, she’s enrolled in college and will begin taking classes this summer. Far too many of the people we see every day have seldom had anyone who believed they had much potential. And if no one else has confidence in you, it can be very hard for you to have confidence in yourself. Failure can then become a self-fulfilling prophecy. In our work, we must be able to see the potential in every person and do everything we can to help them realize that potential. We won’t always succeed. But with the right kind of help over a sustained period of time, a lot of people will rise above their circumstances and accomplish far more than many others ever thought possible – and often, even more than they thought themselves capable of. Over the past decade, Goodwill in central Indiana has developed and now operates several small high schools. More recently, we have launched services for very young children and their moms. These are not areas in which Goodwill Industries around the country have typically been directly involved, and I am occasionally asked why we have moved in those directions. Strategic planning in our organization has morphed from a discrete event we used to do every few years into a strategic thinking process that is continuous. Changes in our environment are occurring at a very rapid rate, and we find ourselves with more new opportunities than ever before. 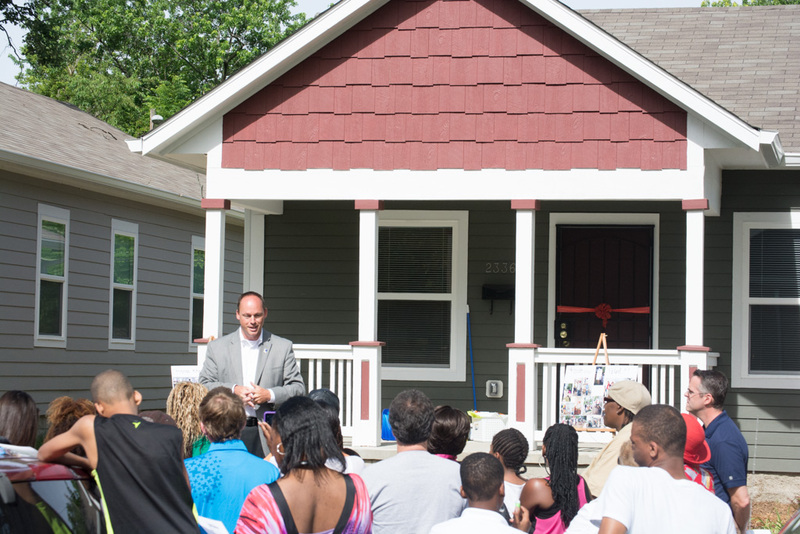 Every major step we have taken over the past twenty years has been a result of (1) what we have learned from previous experiences, (2) what we know about the communities in which we operate, and (3) how we believe we can have the greatest possible impact in the lives of people and in the larger community. A recognition that many major social indicators have become worse over the last 30-40 years, despite massive increases in public spending and a huge proliferation of not-for-profit organizations. Many existing systems have not adapted well to changes that have taken place in our society. The silo structure of the public sector and the fragmented structure of the not-for-profit sector are part of the problem. Fragmented approaches have not worked and will not work to solve complex social problems, regardless of how much money is made available. Neither will highly bureaucratic, overly prescriptive approaches. One size does not fit all. A belief that there are no quick fixes to many of our society’s problems, and we must not allow ourselves to be satisfied with gradual, incremental progress. We need long term thinking and long term solutions. We also need a strong sense of urgency. A recognition that many of the pieces needed to solve societal problems exist, but in relative isolation from other pieces that could also be part of a long term solution. Raise the education levels of children, youth, and adults in low income households. This is why we developed and operate the Indianapolis Metropolitan High School and The Excel Centers. Ensure that children are behaviorally and cognitively ready when it is time for them to enroll in kindergarten. There is powerful evidence of the enormous positive long term impact of high quality early childhood development programs for children in low income households. We must greatly increase the availability of such opportunities – and there must be a strong sense of urgency to do so. Goodwill has taken a major step in this direction by launching Nurse-Family Partnership in Marion County. It’s also important to emphasize that on all of these initiatives we are working with a lot of other organizations that have compatible interests and complementary resources. In some cases, those relationships are evolving into networks that I believe will play an increasingly important role in developing human potential and reducing serious social problems. In the late 1980s, most of the people we worked with were adults with disabilities. We employed several hundred and helped others become employed with other firms. Then we were asked by a state agency if we could help “welfare” recipients find jobs. We found that we could, but only low paying jobs because hardly any of them had high school diplomas. Still, we continued to provide “welfare-to-work” services for 17 years. Meanwhile, we also continued to work with people with disabilities. We had simply expanded our scope to include more people than before. In the early 1990s, unemployment in the Indianapolis area was very low, and employers were desperate for workers. We responded by aggressively trying to find anyone who was employable, but not working, and helping them find jobs. In addition to persons with disabilities and those on public assistance, we started assisting larger numbers of people coming out of the corrections system and newly-arrived immigrants with poor English language skills. 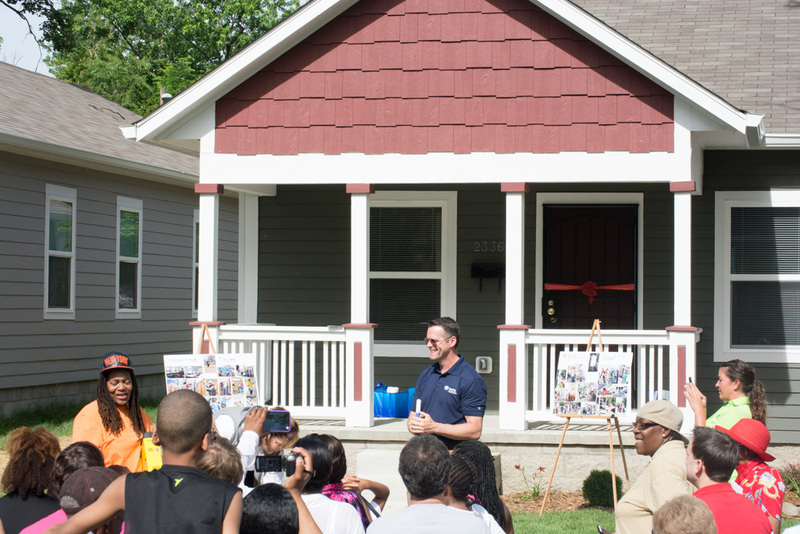 In the mid-1990s, we became involved in the operation of the one-stop employment service centers in Indianapolis, which were serving an average of 45,000 unemployed people each year. When we started examining demographics, we found that 50% of those individuals did not have high school diplomas. About the same time we were becoming increasingly aware of the magnitude of the dropout problem in several of the city’s high schools, and we began to wonder if, as an organization, we had anything to offer young people who weren’t headed in a positive direction. We thought that if we could help them stay in school and graduate, they would be less likely to need Goodwill’s services once they became adults. Therefore, our organization’s long term impact would be greater. We became involved in a number of small scale initiatives with local schools, found that we did have something to offer, and started exploring ways to maximize our impact. That led to a decision to start a charter high school that has now completed its seventh year of operation. The learning from that experience and the relationships that have developed led to our designing and launching a second school, the Excel Center, to provide a diploma option for older youth and adults who had dropped out. The demand for space in the Excel Center has been overwhelming, and we will begin replicating the school this fall. Help young people and adults who have struggled or failed in other educational settings complete high school and attain a post-secondary degree or other recognized credential. Employ people whose work options are limited by disability, criminal history, low education level, or other significant barrier to employment. Help unemployed people become employed. Leverage Goodwill’s resources with those of others to help develop and implement practical, effective approaches to reduce major social problems. Of those four, only one – providing employment for people with limited options – has been part of the organization since its founding in 1930. The others are a reflection of how we have evolved over time as we’ve learned more, our external environment has changed, and our internal resources have increased.